The culture has definitely shifted heavily in the last decade when it comes to marijuana and marijuana use, with the majority of the population in favor of decriminalizing it and regulating it as opposed to going on with the current federal laws. 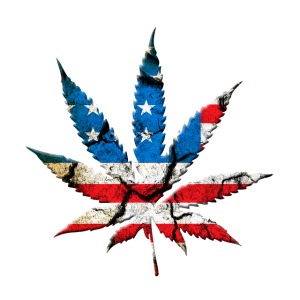 Nowhere has this become more apparent than in the several states that have gone to legalize marijuana not just medically (29 states & DC) but also recreationally. One note we have to get out of the way: just because it’s “legal” on the state level doesn’t mean it’s legal on the federal level. In fact, it is still considered illegal at the federal level. Will this be like prostitution in Nevada where the federal law steps aside for state regulation, or will the government double down on prosecuting these cases anyway against state will? Right now for the most part, it seems like the federal government is willing to let states do their thing, but until that becomes formal policy there is still a bit of a risk. There are 8 states with recreational marijuana or who have approved it and are in the process of rolling out the process of legal weed. Certain rules still apply. Only a certain amount can be carried and people are expected to be responsible and smoke in the privacy of their own homes. Smoking in public is still a crime and can result in a fine or even jail time but in these states, it is legal to buy marijuana and then take it home for recreational use. There are sure to be much more that follow. Why Is It That Lawyers Get Such A Bad Reputation?